Looking for gorgeous botanical or floral wedding invites to set the tone of your big day? Beautiful foliage or fabulous blooms should do the trick! From vintage to contemporary, woodsy to watercolour or tropical to traditional stationery styles, we can design just about any botanical and floral wedding invitation to give your wedding a rustic, boho vibe. Peonies, sweetpea, roses succulents and ferns, and even wild flowers, we’ve got them all – now all you have to do is pick a favourite! Browse our growing range of beautiful floral wedding stationery designs. 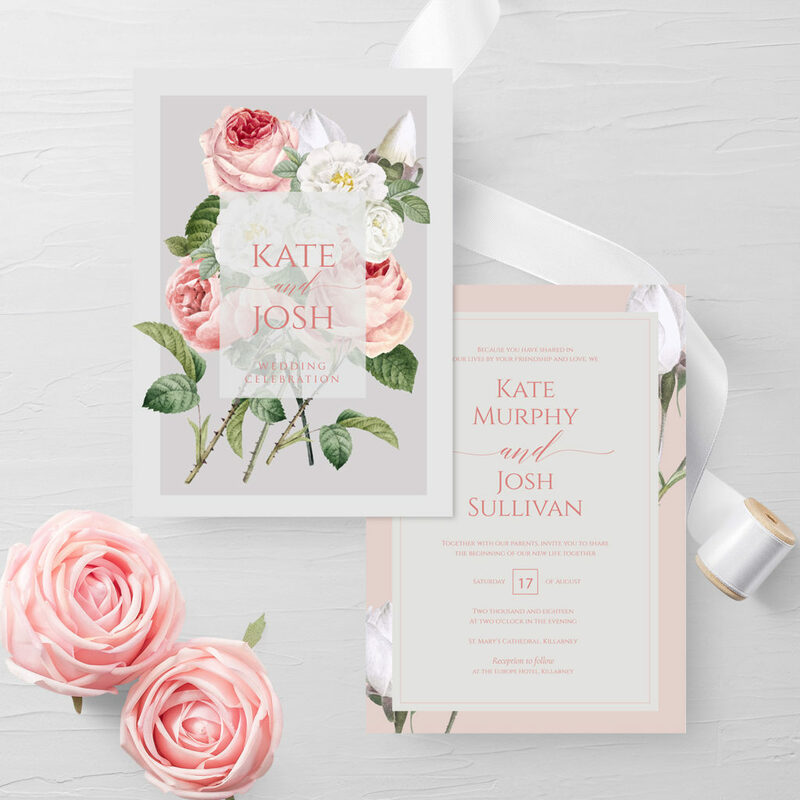 If you don’t see anything you like – contact us for custom design enquiries and we can help you create your perfect floral wedding invitation! If you are getting married this summer now would be the last minute to order your dream wedding stationery.You can view our Wedding Invitation Suites. If you need some wedding invitation inspiration please check our Invite Gallery. To view our wide range of wedding stationery please go to our online shop. To arrange a wedding stationery viewing, book an appointment, or to discuss your requirements please contact us on 064 66 76 100 or email us at sinead@theinvitehub.com. Get ready to find the perfect match for your big day. Lovingly designed, our wedding invitations sets are available with optional matching RSVP cards, info cards. All text can be customised to suit you, and our team are on hand to help.